When you need to quickly find a certain event, or see events that have a certain characteristic (such as place, time, topic, or people involved), you can use the filtering options. Type a word in the sub-calendar box, then hit enter. Filter sub-calendars from the calendar list by typing in text that appears in the sub-calendar name. This could be a full word or part of the word. 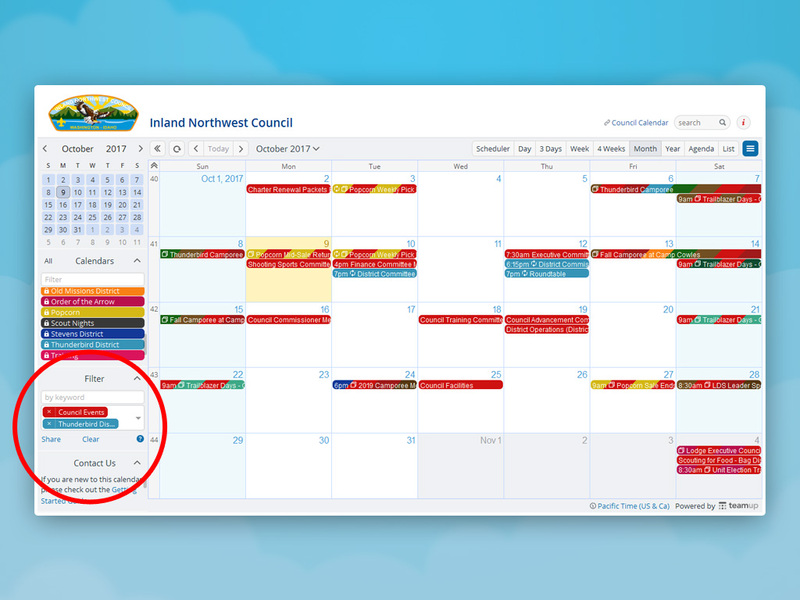 For example, if you type “council” or “popcor” or “dist,” the filter will return the calendars Council Events, Popcorn, and all district calendars. Click on the found calendar (or hit Enter) to toggle to view or hide the events on these calendars. Read more about filtering.